Beyond building a new home to suit your budget, you need to think about the costs once you move in and start living there. Aside from upkeep and maintenance, utilities are among the most significant ongoing expenses, and they vary based on your location, house design and lifestyle. How do you project what your utilities will cost so you can plan your home smartly and ensure your household budget is in order? Projecting your utility costs might be more of an art than a science, but there are still some cold, hard facts you can rely on. First, you may have a sense of your typical consumption from your current utility bills. While your new home designs might change these patterns, it's a good way to start thinking about the demands of your lifestyle. For instance, do you use (and require) high-speed internet? How many people are taking showers on a daily basis? Do you prefer electric or gas cooking? Dry clothes on the line or in a machine? 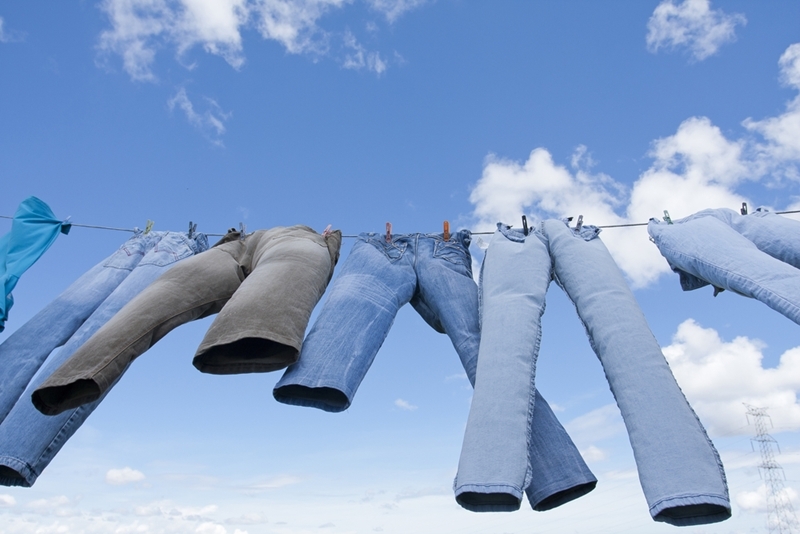 Drying clothes on the line can cut your energy costs. Second, you'll want to look into the cost of living for the region where you intend to build, as this can give you a ballpark figure as well as some information about the rates available in your area. Cost of living calculators, such as Numbeo, that give city-specific data are a good place to start, as are reports like Mercer's annual Cost of Living Rankings. Finally, take your floor plans and household features into consideration. How many square feet do you need to light, heat and cool? Are you placing big-screen televisions in every room? Extrapolating costs based on the utility rates, your consumption habits and the size of your home can give you a sense of what your expenses will be. In addition to building the right size home to suit your needs and budget, as well as choosing locations that offer less expensive utilities, there are a few steps you can take to keep your monthly bills in check. Specifically, speak with your local builders about options for energy-efficient home designs. By selecting the right materials and planning the house strategically, we can reduce heating and cooling needs to a remarkable degree. For instance, G.J. Gardner Homes built a display home in Geelong that has a 9.1-star energy rating, which means it utilises either solar water heaters or rainwater tanks and stays at a comfortable temperature without mechanical heating or cooling. See more in the video below. Furthermore, selecting energy-efficient appliances can cut down on electric and water usage, while the latest 'smart' technology allows you to keep better tabs on your usage, automate energy-saving practices and more. Although your utilities will fluctuate from month to month and as rates change, projecting your costs will give you confidence you're designing the right home for you. Why is the cash rate cut great news for home buyers? Where should you be building your new home right now? Lenders mortgage insurance: Do I need it? Fibre optic vs. cable - which is right for your new home? Is housing affordability still a key concern for you? Interest rates are at a record low: act now! What should you consider when financing your second home? Which type of home loan is right for you?